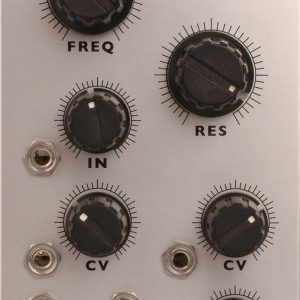 The LvL+rm is bubblesound’s first general utility module. It consists of 4 Level Shifting amps and a 1496 based ring modulator. The Level Shifters can be used in a several ways. Initially this was designed to allow uLFO owners to take an output and shift it from +5V/-5V to 0-10V and use that output as a gate or an envelope. And it’s great for that, but it can do more. Without an input for the Level Shifting amp the amp will output +5V/-5V. This is usefulwith a buffered mult if you want to sweep several VCOs or filters at once. 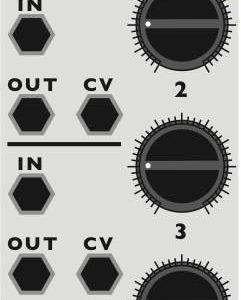 Or using a sequential switch the LvL+rm becomes a simple 4 step sequencer. 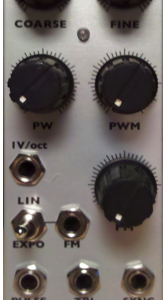 The LvL+rm added to a mult, inverter, sequential switch and unity mixer is remarkably flexible. 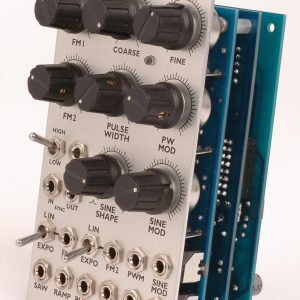 The ring modulator is just what is sounds like. We love ring mods and we had some empty space at the bottom of the module. The LM1496 is a mod/demod chip that has been used by everyone from Roland to Arp. There’s not much else to say about it other than it’s a great, clean ring mod.